Who doesn’t find their toe tapping to the lively rhythm of ragtime music? The beat inspires joy and lifts the spirits. 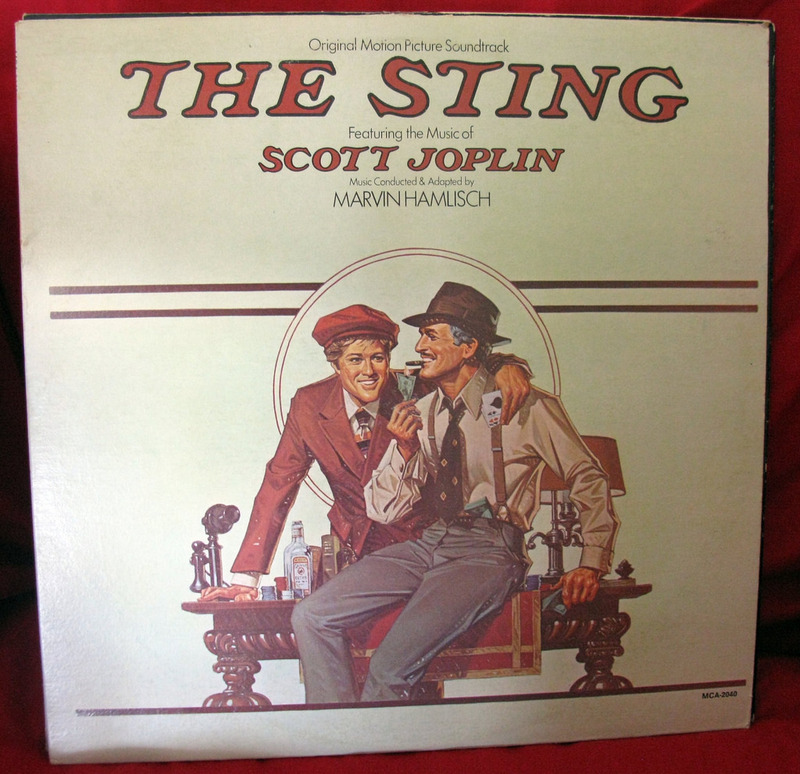 This month, I want to take a look at Scott Joplin, the leading composer of ragtime music. 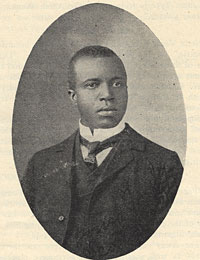 Scott Joplin, born in Texarkana, Texas in 1868, grew up in a family of music lovers. His father, a farm laborer, played the violin. His mother, a house cleaner and laundress, played the banjo and sang. Joplin learned to play piano on the instrument owned by his parent’s employer. He also took music lessons. Scott began performing as a teenager. Besides playing piano, he played the violin and cornet. He also had a nice singing voice and often sang as part of his performance. In the 1880’s he began to travel, spending time in several places, one of them being Sedalia, Missouri, which would become his home later in his life. Joplin played with different forms of music such as marches and waltz’s, adding in some African American rhythms and melodies to change them. In 1893, he traveled Chicago and played outside the World’s Fair. There, he met musician, Otis Saunders, who encouraged him to write down the music he wrote. After moving to Sedalia, MO, Joplin enrolled in the George R. Smith College to study music. He wanted to learn how to transfer the songs in his head to musical notation on paper so other musicians would be able to play his works. He caught on to the concept very quickly and published several original compositions, in addition to some co-written with fellow musicians. 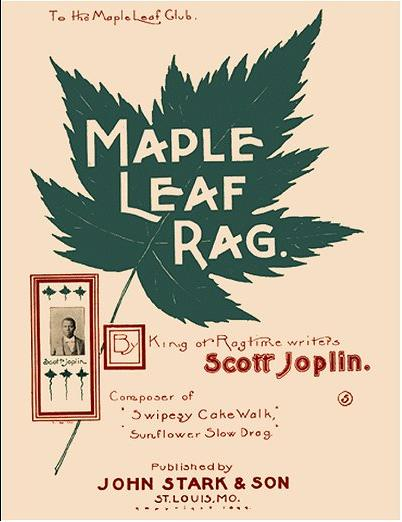 His popularity grew and in 1899, a local music store owner and publisher, printed Joplin’s, “Maple Leaf Rag.” The catchy song earned him the title of “King of Ragtime Writers.” Encouraged by the success, Joplin moved to St. Louis with his new bride, Belle, and friends who wrote music with him. His ragtime gained recognition. The conductor of the St. Louis Choral Symphony Society referred to Joplin as “an extraordinary genius.” Because of his music, Joplin was allowed access to places others of his race could not go, but only because he performed in those places. Joplin’s private life was fraught with troubles. He and his first wife lost their infant child, and then the marriage ended. His second wife died shortly after they married in 1904. 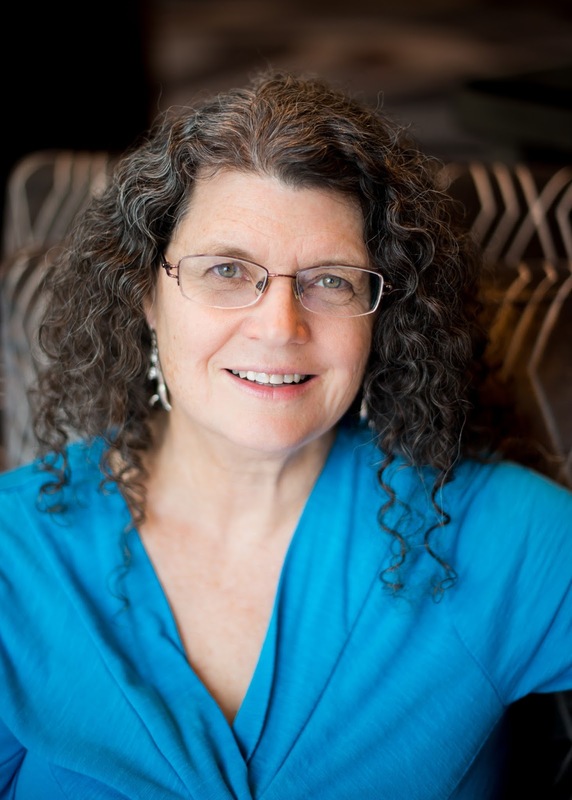 Joplin moved to New York, hoping for a fresh start and new opportunities. He struggled finanacially, not finding the backing he needed for his music. He married a third time, and his new wife, Lottie, supported his work and encouraged him. 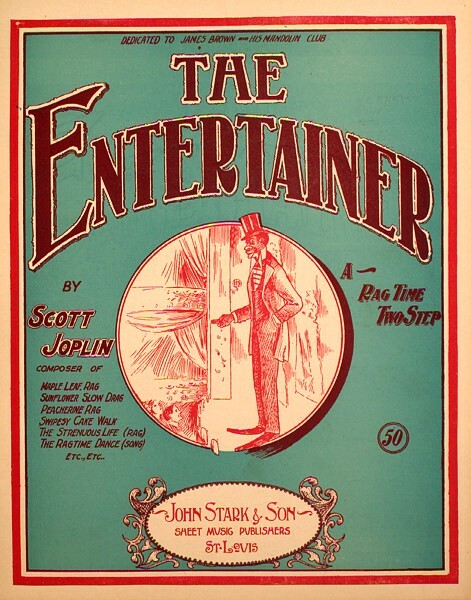 Throughout his life, Scott Joplin wrote 44 songs—ragtime pieces—two operas, and one ragtime ballet. He also composed seven ragtime piano compositions with other composers. In 1916, he experienced debilitating physical and mental effects from an ongoing disease. In 1917, he required hospitalization and then was put in a mental institution. He died April 1, 1917. 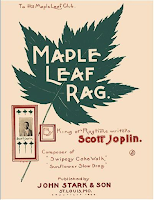 Have you ever played Scott Joplin's ragtime music? 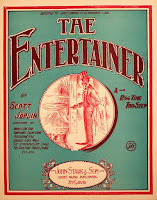 Have you heard Maple Leaf Rag or The Entertainer? (You can click on the song titles to listen to them being played.) If you are familiar with his ragtime music, what song is your favorite? I would love to hear from you. Thanks for the post. I love Scott Joplin. I play piano, but have never mastered his Rags. His music is fabulous, and the Maple Leaf Rag is probably my favorite. Thanks for your comments, Linda. I play piano too, but can only play very simple versions of the rags. Interesting and informative post. Thank you for sharing. Thank you for stopping by, Marilyn. Very interesting. 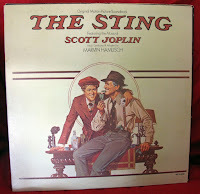 I didn't know all about Scott Joplin. I'm glad you enjoyed the post, Melissa. Thank you for commenting. Sharon, I didn't know about the play, Ragtime. I'll have to look that up. Thank you for letting me know. Chappydebbie, thank you for commenting. I'm glad you liked the post.